‘Bearded Morris’ , a commissioned art piece. Created for Tamara Maynes to illustrate Chapter two of her first book THE MAKER, published by Murdoch Books. One of 2 collage portraits for The Maker. 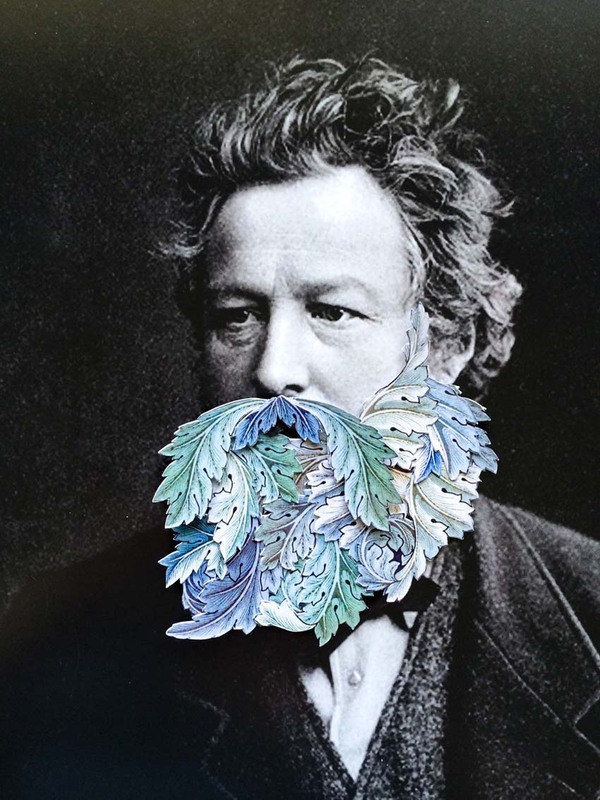 This one is William Morris, bearded in his own wallpaper. He was founder of the British Arts & Crafts Movement. The other commissioned piece for this project is Walter Gropius.